Product Description: If you suffer from any of the following conditions or other chronic health problems, watch this DVD! These and many other chronic medical disorders are all caused or made worse by non-nutritive foods and toxic lifestyles. 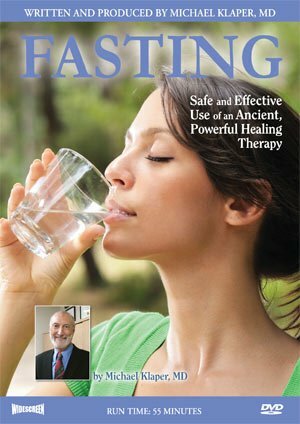 For thousands of years, philosophers, scientists and physicians have used fasting as an effective healing process to begin to reverse serious illness. Today, and particularly in Western cultures, because poor eating habits and high-fat, high-sugar foods are causing so many chronic diseases, more and more people are now turning to health-supporting diets and fasting to improve or reverse major health problems. In this informative and lively presentation, Dr. Klaper explains the benefits and procedures of fasting, and answers the following questions: Who can benefit from a fast? Who should not fast? How to prepare for a fast? What to expect during a fast? When and how to break a fast? And most importantly, what to eat to stay healthy after a fast?